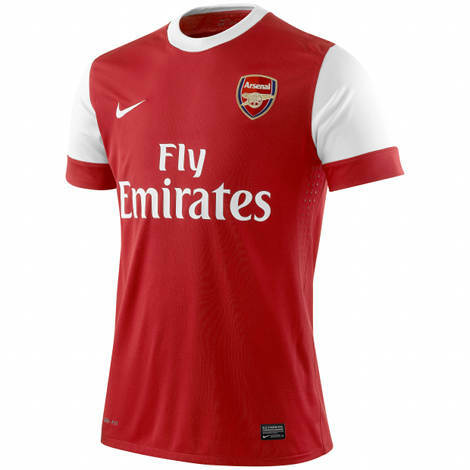 Arsenal have today unveiled their new Home kit for the' 2010 – 11 season! After one or two supposed ‘leaks’ sprouting up over the past couple of months, it’s a relief to finally show you the real deal, straight from kit manufacturers Nike and Arsenal FC themselves! 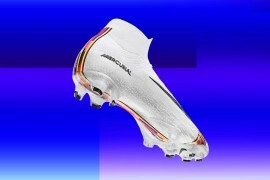 The Kit itself goes back to the classic Arsenal FC Home Kit design of a primarily red body with white sleeves – the resident Arsenal fan here at Footy-Boots.com actually sobbed ‘White Sleeves! It’s got proper white sleeves!’ through tears of joy when the images arrived in the office this morning. 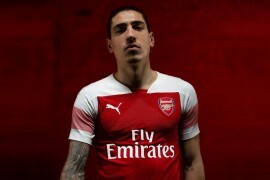 Needless to say, if this reaction is universal with Arsenal fans across the world, we can anticipate that this shirt is going to be pretty popular! 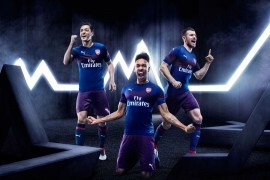 Looking at the detailing on the kit, you can also see that Nike have included some pretty severe ventilation on the underarms of the Arsenal Home Kit, as well as the Dri-Fit technology that was used on all of Nike’s World Cup Kits. 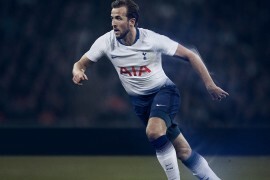 Speaking of the World Cup Kits, Arsenal join Inter Milan and Barcelona as Club Teams who are proudly using Nike‘s Considered Design initiative, using reclaimed plastic bottles. 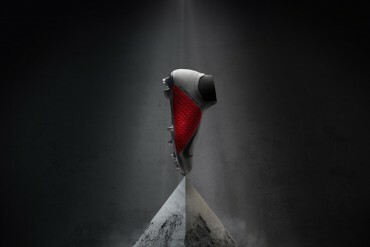 Also, don’t think we haven’t noticed the sneaky-sneaky previews of some of Nike’s football boots for next season on the feet of Cesc Fabregas and new signing Marouane Chamakh! The New Arsenal Home Kit will be available to Pre-Order now, and on general release from the 29th of July. 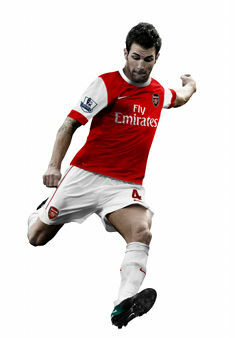 Read more on the Arsenal 10 11 Home Kit. man!nike developing team really ran out of ideas.Why dont they add some creativity to their shirts?the same happened with the shirts for the wc.Really sad. 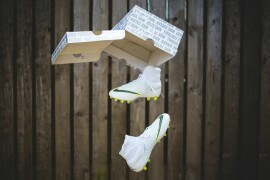 Is the picture of Van Persie wearing his Predator powerstrike boots publicity from Nike? Weird! the pictures prolly all have been photoshop-ed. 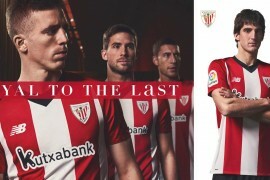 needless to say, the kits nowadays hardly impress. they keep going back when they should be moving forward. arsenal are gg to need more than a new kit to bring glory back to the helm. i would know. im an arsenal fan. sadly.